The Department coordinates the participation of the Italian community in the research activities carried out at the main world – leading centres in the framework of collaboration agreements that ensure access to excellent X-ray and neutron source infrastructures. Some of these research infrastructures are in the ESFRI roadmap. All of them are characterized by a multidisciplinary approach and are equipped with state-of-the art instruments operated by some of the world’s best scientists, engineers and technicians. 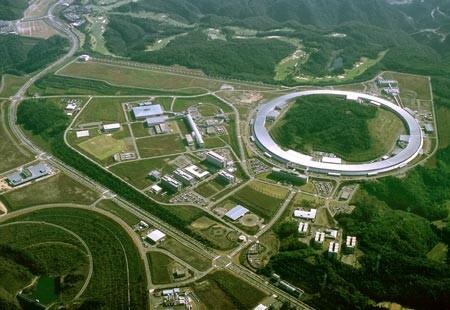 These large scale facilities offer unique opportunities to explore materials and living matter in a variety of fields of application including: structure of matter, materials physics and advanced materials, cultural heritage, pharmaceuticals, food safety, environmental sciences, hi-tech industry, energy and semiconductors. Elettra is the National third generation storage ring (2 and 2.4 GeV ) located in Trieste which, together with the Free-Electron Laser (FEL) FERMI, offer the international community of researchers from academy and industry, high quality synchrotron and free-electron laser light for materials characterization and life sciences studies. The synchrotron centre offers all of the most important X-ray based techniques in the areas of spectroscopy, microscopy, diffraction, scattering and lithography, together with facilities for infrared microscopy and spectroscopy, ultraviolet inelastic scattering and band mapping. CNR, through the DSFTM, owns six of the twenty-six beamlines available at Elettra: ALOISA, APE, BACH, BEAR, GAPH and LILIT that, thanks to X-ray absorption and photoemission spectroscopy and high energy resolution ultraviolet light, offer opportunities to study thin films, 2D materials, nanostructures and clusters. Moreover, CNR participates in the construction of some beamlines at FERMI for the study of magnetic materials, atomic and molecular systems and for the investigation of superconductor materials with Thz radiation. The Italian scientific production at Elettra is very high: more than 2200 papers in the last ten years, with about 800 in collaboration with CNR Institutes. The Department manages the Italian participation in the European Synchrotron Radiation Facility (ESRF) in Grenoble, the most intense and brilliant hard X-ray source worldwide and centre of excellence for fundamental and innovation-driven research in condensed and living matter science. 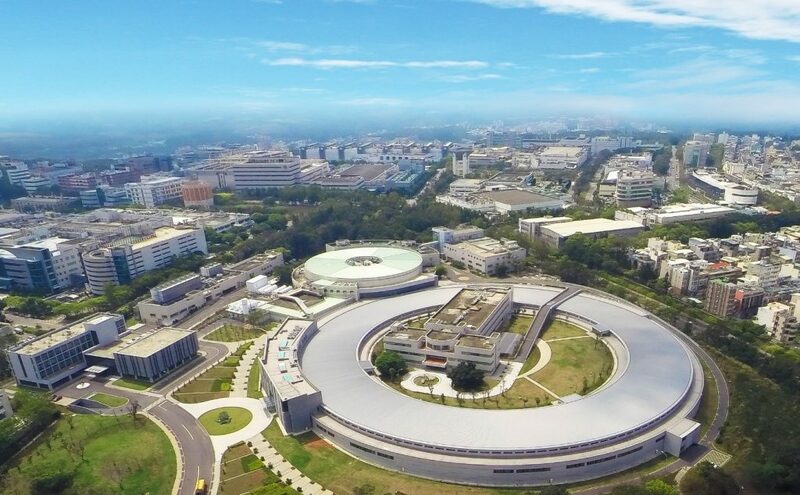 High-energy electrons produce X-rays racing around the storage ring, a circular tunnel measuring 844 metres in circumference, equipped with 43 highly specialised beamlines with state-of-the-art instrumentation supporting a wide range of experimental techniques. The intensely bright light produced at the ESRF offers unique opportunities to explore materials and living matter in a multitude of fields, ranging from chemistry and materials physics to archaeology and cultural heritage and from structural biology, health and the life sciences to environmental sciences, information science and nanotechnologies. ESRF is one of the 29 ESFRI Landmarks. LISA (Italian beamline for X-ray absorption spectroscopy), is a Collaborating Research Group operating at one of the bending magnets of the ring; it is managed by staff of the Institute of Materials of the DSFTM. Its scientific activity covers a variety of topics, such as materials science, physics, chemistry, biophysics and medicine, earth science, environment and cultural heritage. It is mainly dedicated to the study of trace elements, thin films and interfaces. The Italian scientific productivity at ESRF is very high: more than 1100 papers in the last ten years with almost 600 in collaboration with CNR Institutes. The Institut Laue-Langevin is an international research centre at the leading edge of neutron science and technology. 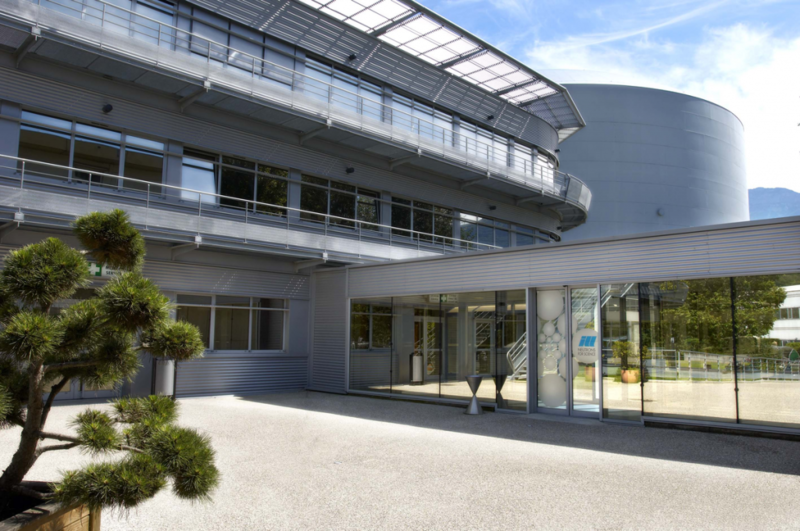 It is located in Grenoble and provides a very high flux of neutrons feeding some 40 state-of-the-art instruments. Research focuses primarily on fundamental science in a variety of fields: condensed matter physics, chemistry, molecular biology, nuclear and fundamental physics, materials science and environment. CNR, as scientific member, participates at financing ILL, through an agreement, managed by the DSFTM, that guarantees Italian researchers the access to the facility. Two of the instruments available at ILL are managed by staff of the Institute of Materials of DSFTM: BRISP and IN13. BRISP is a new concept thermal neutron Brillouin scattering spectrometer exploiting the time-of-flight technique and optimized to operate at small scattering angles with good energy resolution. Main applications areas are: biological, macromolecular and magnetic systems, confined liquids, amorphous solids, glasses, polymers, liquid metals and alloys. The backscattering spectrometer IN13 (Collaborating Research Group) is particularly useful for the microscopic study of single particle motions (jump reorientation, rotational and translational diffusion, tunnelling) observed by incoherent neutron scattering. It is mainly devoted to life sciences, materials science, solid-state physics, geophysics and chemistry. The Italian scientific productivity at ILL is high: about 430 papers in the last ten years with 190 in collaboration with CNR Institutes. 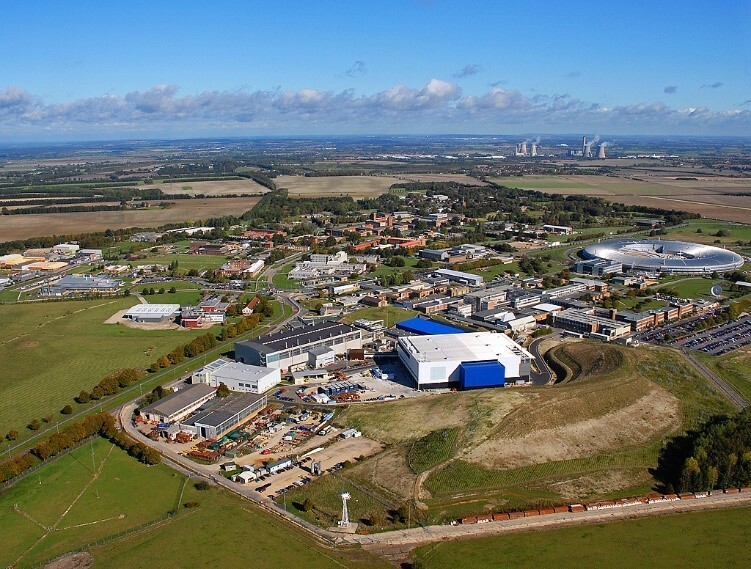 The ISIS facility at the Rutherford Appleton Laboratory in Oxfordshire is a world-leading centre for research in the physical and life sciences. ISIS produces beams of neutrons and muons for the investigation of materials at the atomic level across a diverse range of science disciplines such as physics, chemistry, materials science, geology, engineering, cultural heritage and biology. It plays a vital role in the portfolio of analytical techniques used by researchers for areas as varied as energy, nanotechnology, materials processing, drug design and pharmaceuticals, bio-technology and green technology for a clean environment. Together with the owner of the facility, the Science and Technology Facilities Council, CNR participates at financing ISIS, through a funding agreement, managed by the DSFTM, so to allow Italian researchers to access the research centre. In particular, a dedicated budget is allocated to partially cover travel and subsistence expenses of Italian scientists performing experiments at ISIS. The Italian scientific productivity at ISIS is about 200 papers in the last ten years, half of which in collaboration with CNR Institutes. 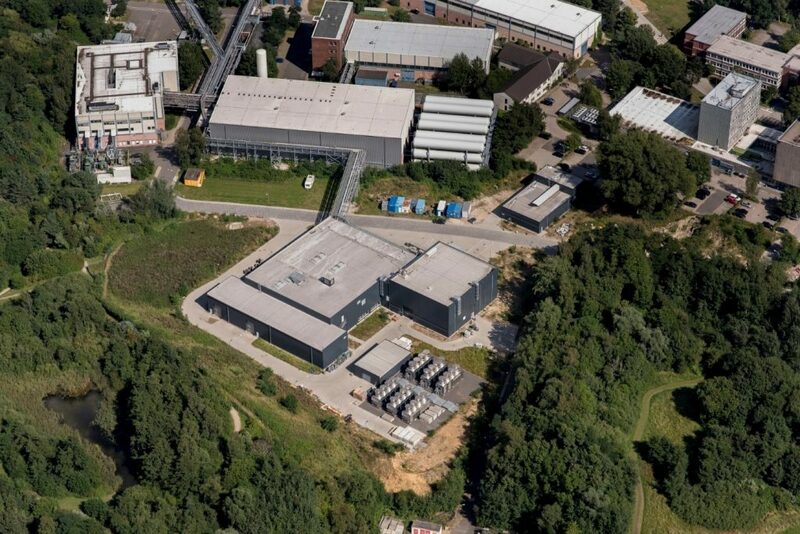 The European Spallation Source in Lund is the Europe’s next-generation neutron science facility that will provide up to 100 times brighter neutron beams than existing facilities today, offering experimental access to researchers from academia as well as industry. 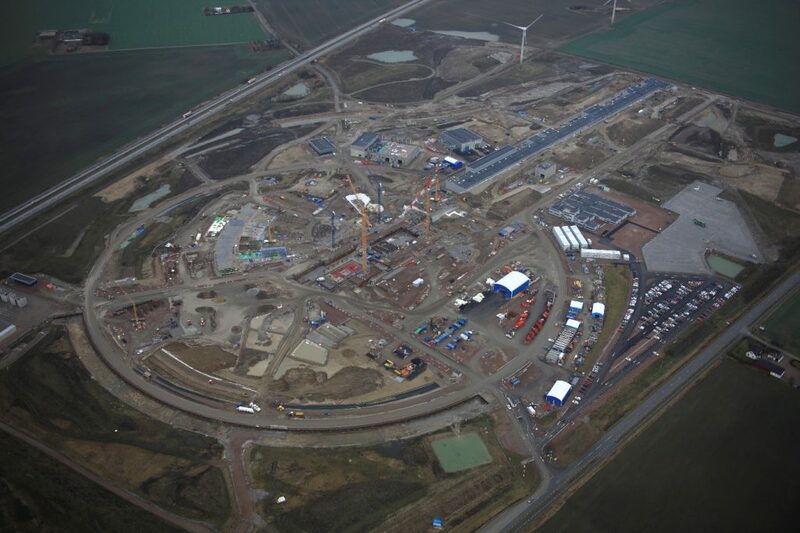 The European Spallation Source plans to deliver the first neutrons by 2019 and open the user programme in 2023. It is one of the world’s most powerful neutron source that will allow the analysis of smaller and more complex systems, making the study of rare and biological specimens and samples under extreme conditions possible. CNR, together with INFN and Elettra, are participating to the construction of this new facility trough an agreement signed by MIUR that is financing the project up to 104 Million Euro, 80% of which will be an in-kind contribution. The Department, thanks to its competences and capabilities in neutrons science, is contributing through the design and development of three instruments: T-REX, VESPA and LoKI. T-REX is a unique thermal time-of-flight spectrometer with full polarization analysis, a significant breakthrough in the field. VESPA is a world-leading vibrational spectrometer expected to tackle issues across an especially broad range of diverse scientific fields. This instrument is fully managed by Italian researchers with CNR as main proponent. LoKI is based on the small angle neutron scattering technique. The European X- Ray Free Electron Laser is a research facility more than three kilometre long, currently under construction in the Hamburg area that will generate extremely intense X-ray radiation with properties similar to those of laser light. It will allow scientists to map the atomic details of viruses, decipher the molecular composition of cells, take three-dimensional images of the nano-world, film chemical reactions, and study processes such as those occurring deep inside planets. With respect to similar machines, such as LCLS in Stanford, SACLA in Japan and SwissXFEL, XFEL technology will make possible to study phenomena evolving on a very short time scale thanks to the possibility of having a number of pulses 100 times/s more intense and in the range of fs. They include chemical reactions, charge transfer inside molecules and solids, ordered states modification in solids, with a spatial resolution and an atomic selectivity typical of X-ray based techniques. This represents a unique opportunity in many fields of research, such as geology, astrophysics, plasma physics and structural biology. 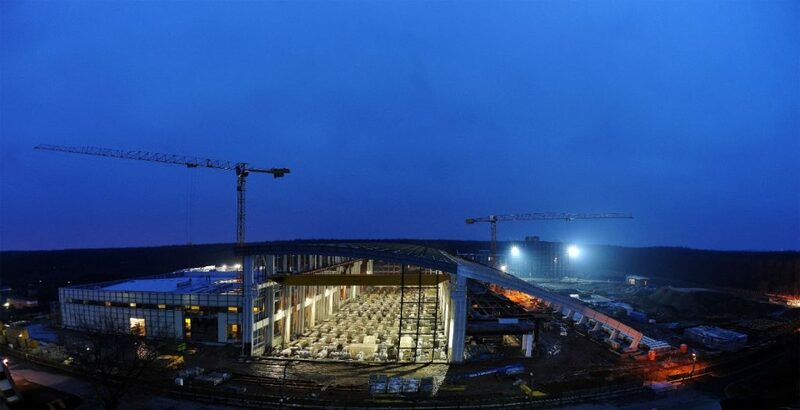 Italy is one of the partners of the facility and it contributes to its construction with a 33 Million Euro budget. The participation of CNR to the project, will allow scientists working at DSFTM to have access to this outstanding facility. The Extreme Light Infrastructure will be implemented as a distributed research facility based initially on three specialised and complementary sites located in Romania, Czech Republic and Hungary. ELI is the first project on the European ESFRI Roadmap to be fully developed in the newer EU Member States. The approach of ELI consists in concentrating laser radiation energy in very short pulses in time with a duration of few optical cycles. ELI–Nuclear Physics in Romania is dedicated to the development of ultra-intense laser and brilliant gamma beams (up to 20 MeV) for novel photonuclear studies. ELI–Beamlines in Czech Republic will be a high-energy beam facility, responsible for development and use of ultra-short pulses of high-energy particles and radiation stemming from the ultra-relativistic interaction. ELI–Attosecond Light Pulse Source in Hungary will be an attosecond facility providing light between THz and X-ray frequency range for developers and users in the form of ultrashort pulses with high repetition rate. ELI will also promote the advent of new technologies, such as novel laser-plasma-accelerators delivering particles and photon sources with extremely high energies beyond the physical limits of conventional technologies so to contribute to societal benefits in medicine, due to its basic research on new radiography and hadron therapy methods. It will also contribute to materials science with the possibility to unravel and control dynamical effects in micro-electronics by use of novel laser-based, ultra-short-pulse x-rays. It may help investigating and controlling aging processes in materials under extreme conditions, such as in nuclear reactors, and help protecting the environment by offering new ways to treat nuclear waste. The Department is part of the project through the involvement of some of its Institutes and manages the financial contribution received by the Italian Ministry of Research. The EuroFEL project is part of the ESFRI Roadmap since 2006 and it is one of the European strategic activities for the development of the analysis and synthesis capabilities at the level of nano-materials and biomaterials. It includes 14 facilities in 10 countries. One of the goal of this project is to contribute to support the competitiveness of manufacturing, chemical and pharmaceutical industries together with ESS, ELI, NFFA and XFEL. In particular, EuroFEL aims at developing the capabilities of analysing the dynamical properties of materials and biomaterials through high intensity light beams, obtained by using very short, high coherent pulses. Based on the Free Electron Laser principle, the project consists in the construction of a distributed European infrastructure ranging from the ultraviolet up to soft X-rays radiation. Italy is part of the consortium, through CNR, Sincrotrone Trieste S.C.p.A. and INFN, together with Germany, Sweden, France, United Kingdom, Switzerland and Poland. A very relevant project for the DSFTM is the Nanoscience Foundries and Fine Analysis, a distributed infrastructure financed by MIUR and coordinated by the Institute of Materials with the involvement of the Institute of Structure of Matter. NFFA Europe sets out a platform to carry out comprehensive projects for multidisciplinary research at the nanoscale extending from synthesis to nano-characterization to theory and numerical simulation. 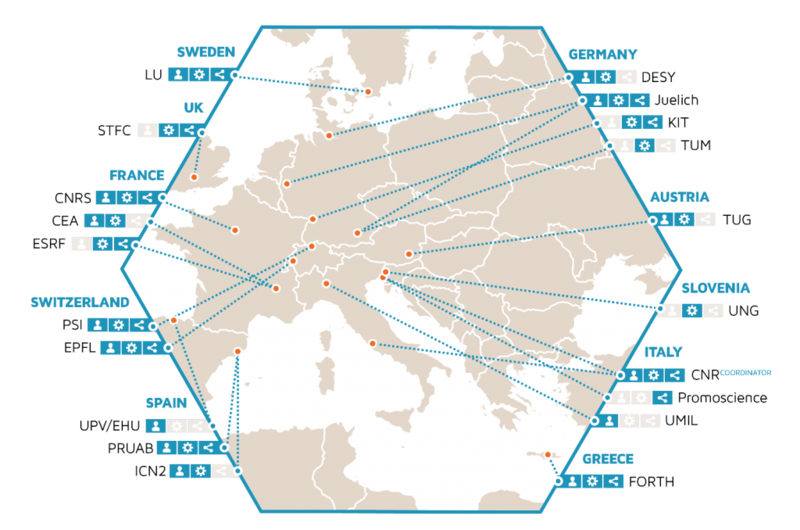 It integrates 20 partners, half of which are nano-foundries, co-located with Analytical Large Scale facilities. One of the aim of NFFA is to guarantee the scientific community access to excellent instrumentation for sample preparation, by using nano-fabrication techniques, and fine analysis infrastructures, such as synchrotron light and neutron sources as well as new data storage tools so to extend the experimental potentials of such centres. CNR provides access to lithography and patterning, growth and synthesis, theory and simulation, characterization. Moreover, it contributes to Joint Research on in-operando and high throughput methods, e-infrastructure for data and information management, time-resolved ultrafast probes on nanosystems.